Posted in: ProTek, Radio Control. Tagged: Electronics, RC. 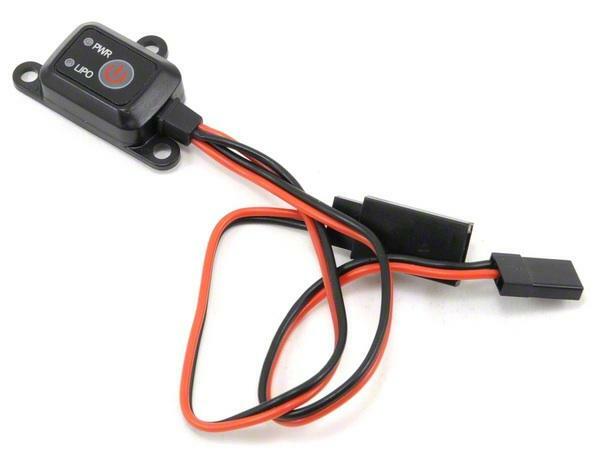 The completely sealed ProTek RC Electronic Switch features a LiPo mode that is designed to auto-detect low LiPo voltage and will cut-off power from your LiPo battery to prevent over discharging, even if you forget to turn your RC vehicle off. The LiPo mode can be disabled if you have another set up in place or if you are using a NiMH or NiCd battery. In addition to that, the ProTek RC Electronic Switch also monitors the condition and remaining capacity of the battery pack, and indicates the status with the LED’s. The switch can be mounted just about anywhere using double-sided tape.